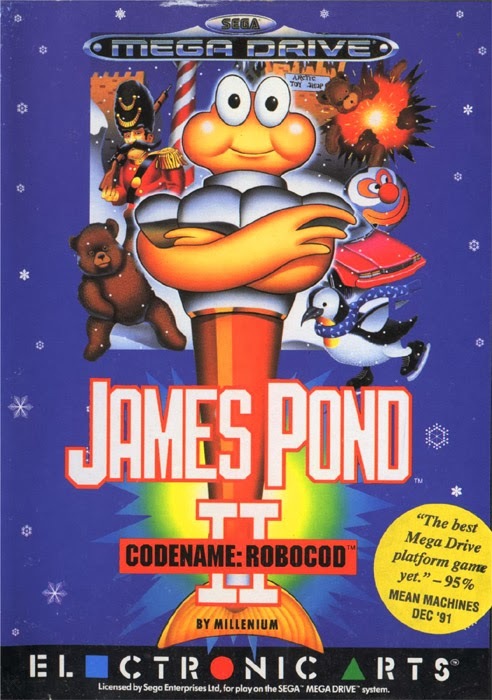 James Pond 2 was the sequel to James Pond (surprise surprise) and was a game which was ported from the old school home computers on to consoles in the early 1990's. 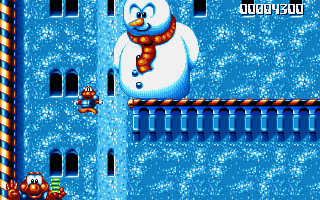 The game was unique because it had a Christmas time setting in a toy factory in the Arctic. There are not many Christmas games around and most of them are very poor, making this one stand out as a gem to review. The games story is simple, a load of penguins have been kidnapped and held hostage in a huge castle which is also an evil toy factory. 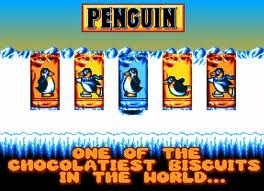 In order to win this one you must save all the penguins and beat the games bosses. The games hero is a secret agent goldfish who has a robotic suit like Robocop. James Pond can only hurt his enemies by jumping on their heads until they vanish in a puff of sparks, so his suit isn't that great but beats flapping around on the floor I guess. I also think the suit must have some sort of perk that lets a goldfish survive in a game with no underwater levels what so ever? 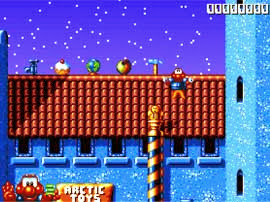 The gameplay is standard for most side scrolling platformers from around that time. In order to complete the levels you must find all the penguins to advance. Each level becomes more of a maze as the game progresses. The standard enemies range from evil toys to men who very much resemble the man off the Berty Basset sweets. The penguins are also product placement for the popular UK chocolate bars Penguin. 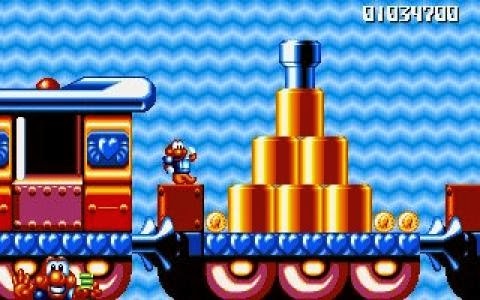 There is even a Penguin advert placed in the Sega Genesis version. The game has some fun levels and some awesome bosses but does drag on a bit. The repetitive background music is enough to send you insane after a few levels as well. The version ported to the Super Nintendo (Super James Pond) has even worse music and sound effects, which is staggering when you think about the decent level of music and sound the SNES could produce. Overall this is a cool side scrolling platformer and its nice to play at Christmas but it feels it a bit odd to fire up any other time of the year. To make James Pond invincible simply collect the above items (at any time) during the game in order. The easiest way to remember this is that you have to spell the word cheat. Grab the cake, the hammer, earth, apple and tap from the roof near the entrance of the castle.